Welcome to the homepage of The Penn State Chapter of Chi Epsilon Pi. Chi Epsilon Pi is a national meteorology honors society. Here at the Penn State Chapter, we have various social events, including the fall picnic, spring banquet and hikes up good old Mount Nittany. Read more about our purpose and criteria for membership below. Chi Epsilon Pi is the Pennsylvania State University chapter of the national meteorology honor society founded in 1951 at the University of California at Los Angeles. 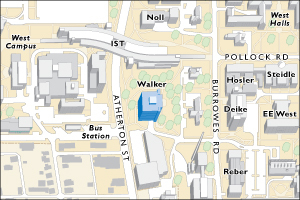 Its members are graduate and undergraduate students, faculty, and staff. Induction into the society is an honor one holds for life. The purpose of the society is twofold: to serve as a means for awarding distinction to students who have high scholastic ability and promise of achievement in meteorology and to promote student interest in advanced study of meteorology and related sciences. In its role as an honor society, Chi Epsilon Pi inducts new members into the organization each fall and spring semester and holds a banquet each spring. Chi Epsilon Pi also acts in a service capacity, organizing an informal "Brown Bag" series of seminars, cosponsoring with the department the fall picnic, managing a free tutoring service for courses in the undergraduate curriculum, and organizing a "buddy" system for incoming graduate students. Members of the society are classified as voting (active) and nonvoting (associate). There are two types of active membership: student and staff. Graduate and undergraduate students who meet one of the criteria for membership given below become active student members of Chi Epsilon Pi. Active student members who graduate and become affiliated with the Penn State Department of Meteorology may choose to have their status changed to active staff membership. Faculty and staff members with advanced degrees in meteorology who are employed full-time by the Penn State Department of Meteorology are eligible for active staff membership. There are three types of associate membership: alumni, honorary, and provisional. 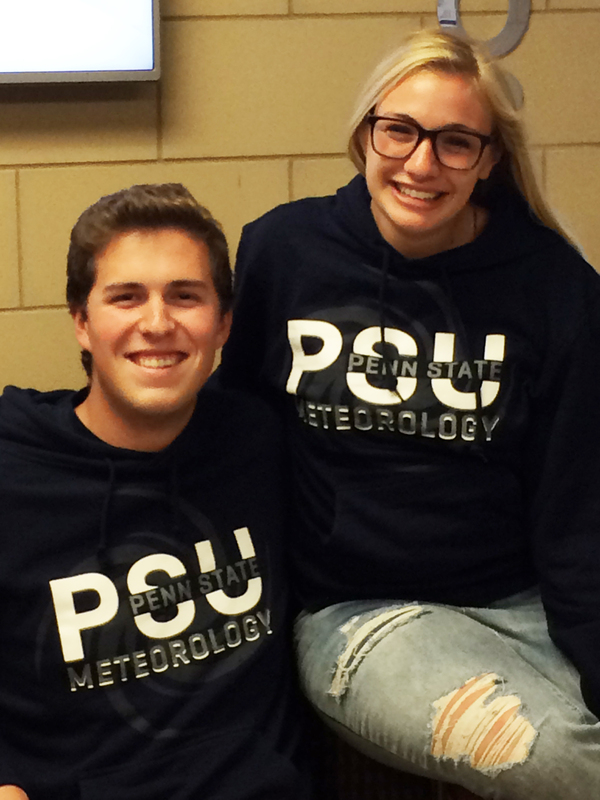 Active student members who graduate and remain affiliated with the Penn State Department of Meteorology may choose to have their status changed to alumni membership. Those active members no longer affiliated with the Penn State Department of Meteorology will have their status changed to alumni membership. Anyone who has attained noteworthy distinction in the science of meteorology or closely kindred sciences is eligible for honorary membership. Faculty of Penn State University may be chosen as honorary members. Active or alumni members may recommend candidates for honorary membership. All meteorology graduate students who do not meet the requirements for active student membership are provisional members until they either meet the requirements or are no longer students; they may participate in all Chi Epsilon Pi activities with the exception of voting and holding office. an overall Penn State cumulative grade point average of 3.1, on a 4.0 scale. passing the PhD Candidacy Exam in meteorology.